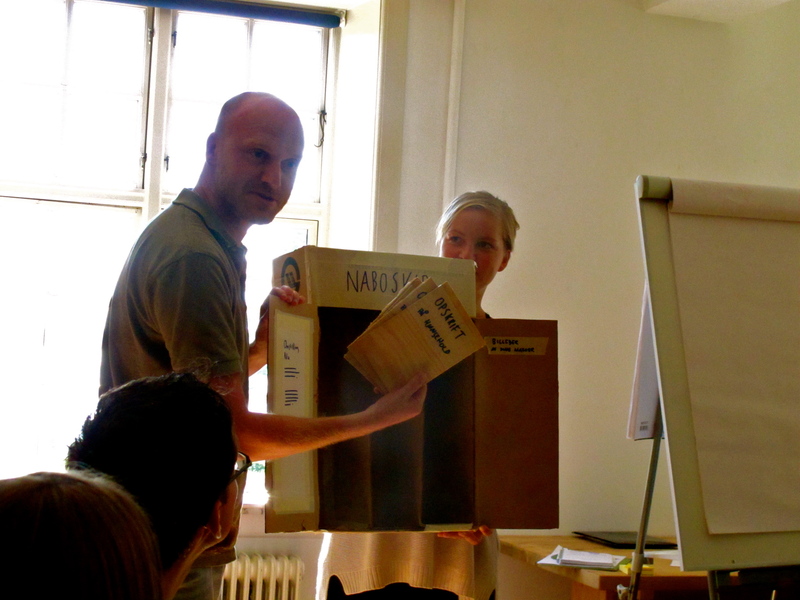 Social Action is developing the art project ‘Naboskab’ together with the youth movement Omstilling Nu. 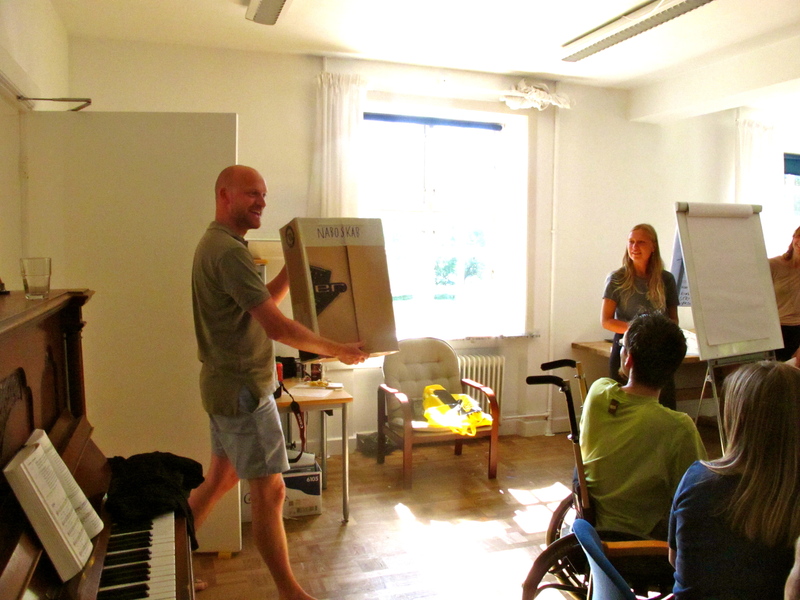 A way to bring people together in Copenhagen – and around Nørrebro – is to make people realise that they have neighbours. Most copenhageners in appartments don’t think about that in their daily life. Neighbourhood is called naboskab in Danish. Directly translated, naboskab means neighbour (nabo) closet (skab) – don’t ask me why. But kind of the same way neighbourhood is neighbour and hood (as in a hoodie to wear) — also weird. 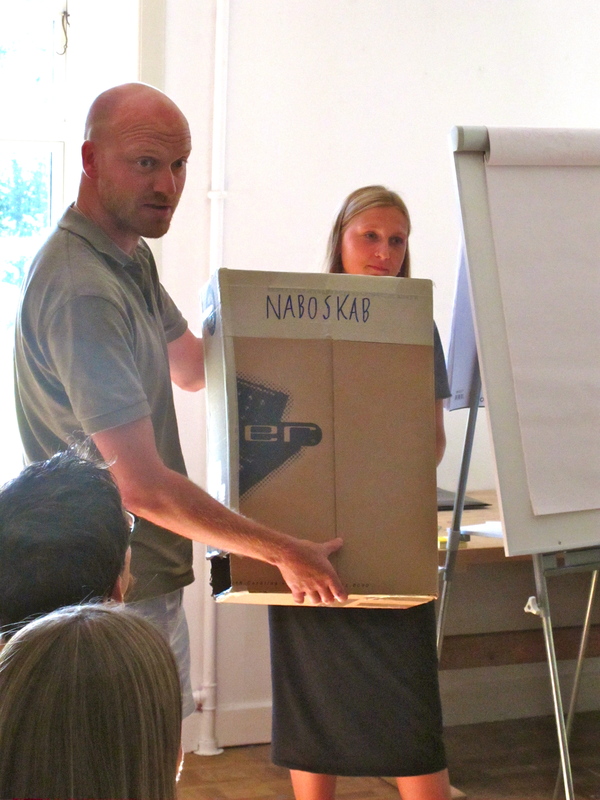 An idea in Nørrebro would be to build an actual naboskab – a neighbour closet. The closet, or box, could be hung in people’s stairways. – Starting in my own with 7 other appartment owners walking in it each day. A naboskab, or lets call it neighbox, would function like a magical box where recipies for different, good activities would be placed at first. Fx a recipe to make a henhouse, a recipe to make a busride together, a recipe to change bank, etc. Also a map of people’s favourite things in the neighbourhood would be placed — like a treasure map of your local area. Also a way to lend and borrow tools would be part of the function of the neighbox, naboskab.